"Warm and creamy; simple chocolate flavors with a hint of cinnamon." Whisk cold water, sugar, cocoa powder, flour, cinnamon, cloves, and salt in a saucepan until smooth. Place over low heat; bring to a simmer, whisking constantly, until mixture is thickened and hot, about 4 minutes. Stir in milk; heat until hot chocolate just forms bubbles around the edge. Mix vanilla extract into hot chocolate. Blend until smooth with an immersion blender to make the drink slightly frothy. A hot chocolate with a bit of spice. Delish! 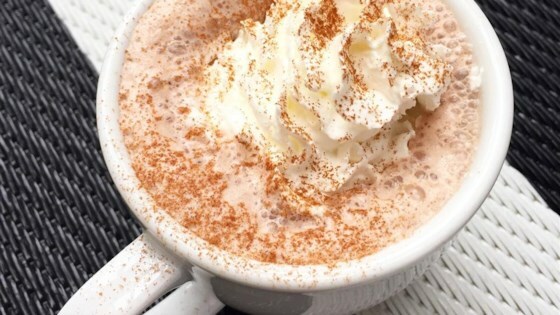 A great hot drink to serve on a cold snowy day.